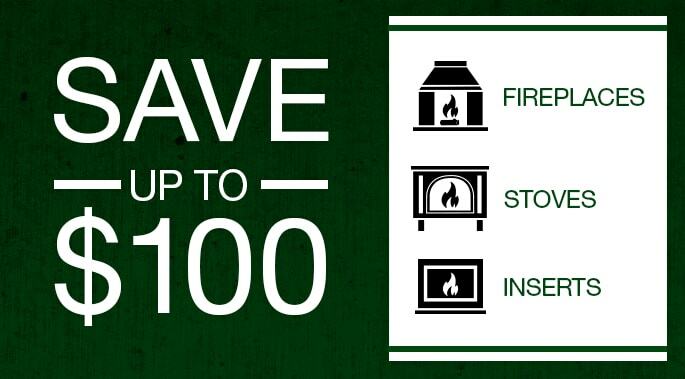 Wood-burning stoves are a green, inexpensive alternatives to utility-dependent home heating sources. With greater awareness of global warming and the impact we have on the environment, many homeowners are taking steps to reduce their dependence on fossil fuels. Some are even living off the grid without reliance on public utilities. It may seem like a stretch, but it’s possible to move in that direction. One way is to heat all or part of your home with a natural resource that replenishes itself, like wood. In addition to the gratifying feelings of empowerment it brings, heating with wood can also reduce your heating bills. Fueling with wood is a smart choice if you’re concerned about the environment – and we all should be. Natural gas, fuel oil, propane and electricity are not renewable. But wood is. It’s derived from forests that regerminate themselves continuously or are managed and replanted after harvesting. Even if you harvest trees on your own property, those trees are naturally replaced over time. Plain and simple, heating with wood helps to reduce your overall energy use and consumption of fossil fuels. Many Quadra-Fire wood-burning stoves are capable of heating an entire home while delivering consistent home comfort throughout. One of the most notable differences between heating with a Quadra-Fire stove and a furnace is the ability to zone heat your home. We call it “heating where you live.” Install a wood stove in the room where you spend the most time, and turn down your thermostat a few degrees. 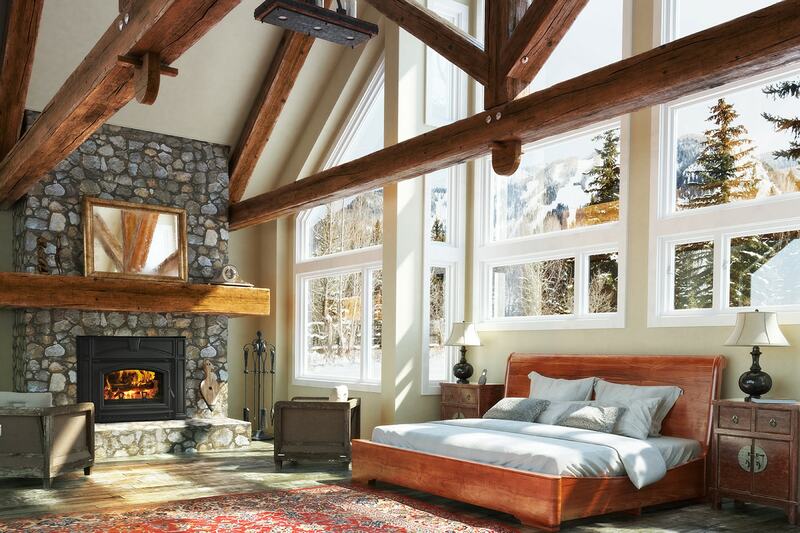 Unlike a central furnace, which generates heat and then pushes it through the ductwork, a stove immediately disperses heat into the rooms where you spend the most time. Heat isn’t being lost traveling through the ducts, and you’re not heating rooms that aren’t used regularly. If you’re environmentally aware, you may have heard rumblings that burning wood can actually be detrimental to the environment. That may be true of backyard open fire pits, or older inefficient wood-burning stoves and fireplaces. 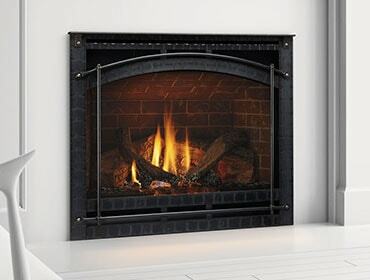 Quadra-Fire stoves don’t fall into that category. Beginning in 1988, the EPA required all wood-burning stoves become certified as clean-burning, expelling minimal particulates into the environment. Quadra-Fire’s Automatic Combustion Control technology and Four-Point Burn System work together to ensure our stoves meet or exceed all EPA requirements, making them super-efficient. If your dream home is one that allows you to get close to living off the grid, a Quadra-Fire wood-burning stove might very well be in your future. And if you're going to build a fire, make it a great one. These are the Best Wood Species for Better Fires.